For today’s adventure, I returned to the copper beech tree! At the week-end I attempted to gather seeds from the tree for planting, but every seed failed the “float-sink” test (they all floated, and many sources say that this means that the seeds are infertile). 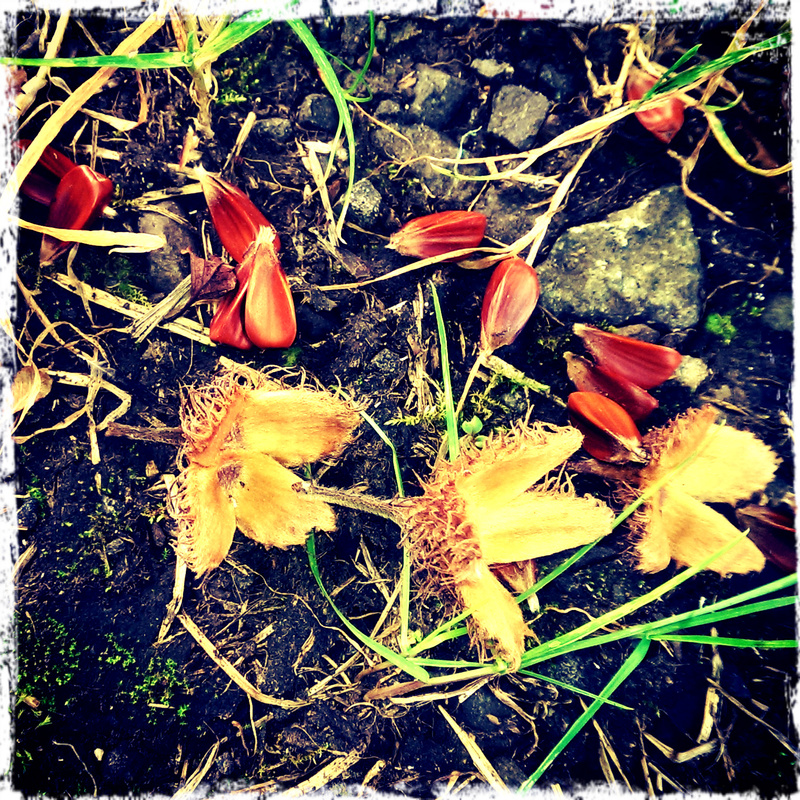 When I collected the seeds, the earth was covered in beech nuts and their open casings. The open casings looked like little hairy hands that had released their grip on the seeds. Looking up into the giant copper beech, many of these open hands were still on the tree. It made me think of a mother with thousands of children who was ready for Nature to take them off her hands 🙂 . Further research suggested that not only might the float-sink test be invalid, but also that the first fall of seeds from a beech tree are often infertile. No-one is quite sure why this is, but some people think it’s a kind of decoy. The local predators go for the first fall and realise that the seeds are of no value, leaving later seed-falls to their own means. So, it might be worth gathering some seeds now – and gathering some seeds later! Anyway, back to the business of the day 😛 . Today’s adventure is a poetic one : I’ve written a haiku about the beech tree. You can read my poem here, and you can hear me recite it in today’s video-blog too.